Nestled in the Mediterranean Sea, and surrounded by Africa, Europe and The Middle East, Cyprus is an idyllic and unique island. What distinguishes it from other islands is the fact that the Republic of Cyprus is partitioned into two parts. The Greek island has been occupied by several major powers throughout history due to its strategic location in the Mediterranean, and after a period of British rule, the country was granted independence in 1960. The internationally-recognised Republic of Cyprus controls the south and west of the island, makes up around 59% of the country, and has de jure sovereignty over the entire island. The north, covering around 36% of the island, is controlled by the self-declared Turkish Republic of Northern Cyprus. This has been the situation since the Turkish invasion of Cyprus in 1974, and a unilateral declaration of independence by the Turkish Cypriot parliament in 1983. Turkey is the only country to recognise the north as an independent nation, while the wider international community considers the northern part of the island as territory of the Republic of Cyprus occupied by Turkish forces. This occupation is viewed as illegal under international law and amounts to an illegal occupation of EU territory since Cyprus joined the European Union in 2004. To say that there is no love lost between the two territories would be an understatement, and the two sides are clearly divided. Tensions have eased a little in recent years and although there is a bit more freedom for citizens and tourists to go between the north and south, Cyprus is far from being unified. Cypriots are known to have a passion for gambling, but are the rules and regulations different depending which part of the country citizens live? Can they easily open online betting accounts and gamble freely? We take a look. All forms of gambling and games of chance have long had a place in Cypriot culture. Card playing, horse racing and football betting have always been popular. However, since the divide of the island in 1974, the Turkish and Greek parts of the island have followed different trajectories when it comes to their approach to gambling. In the Greek south, the state lottery, horse-racing and football betting are the only licenced form of gambling. Conversely, in the Turkish north, there are a dearth of casinos in operation. These casinos were initially modelled on the private clubs run by Turkish Cypriots in London in the 1950’s and 1960s. The popularity of casinos increased exponentially when gambling was banned in Turkey in the late 1990’s by the Islamic Welfare Party. This legislation caused a shift in approach by the Turkish casino operators who relocated to northern Cyprus, due to its status as an unrecognised territory. As such it became a new gambling haven for Turkey and the Middle East due to the laid back gambling laws, and quickly developed into a holiday destination. Furthermore, since 2003, Greek Cypriots have been able to cross the Green Line to the north of the country and as such the Turkish Cypriot betting market has been inflated further. Betting shops are popular in the Turkish region of Cyprus but interestingly, the only race track in the country is the Nicosia Race Club, located in the South. As online betting has grown since the turn of the millennium, betting companies have explored every possible avenue in order to minimise their costs and derive a competitive advantage. Furthermore, certain firms may not meet the requirements of the countries where their business originated and as such have to relocate. In the early 2000’s, Cyprus developed a negative reputation for being a hotbed of dubious online betting firms. In 2006 the government tried to address the problem of unfit betting firms operating out of the country, and the regulation they implemented went some way to controlling the proliferation of new bookmakers. Although there was some improvement in terms of the number of rogue companies basing themselves in Cyprus, the authorities saw further need to provide regulation to control what their citizens gambled on, and they introduced the Betting Act 2012, which regulated fixed sports betting and lotteries, but banned all other forms of internet gambling, with casino style games such as roulette and poker the main casualties. On top of the casinos being banned, sports betting exchanges were also outlawed, as they allowed live gambling. Betfair challenged this ruling, believing it to be unlawful and they continue to offer their services to Cypriot citizens. Greek and Turkish are naturally the two most commonly spoken languages in the country. More bookmakers translate their pages into Greek than Turkish, but there are still plenty of sportsbooks such as Betfair and Marathonbet who also offer language translation suitable for those in the northern part of the island. All of the bookmakers accept Euros as a currency. E-wallets are probably the safest and fastest payment methods to use, as bettors can quickly transfer their funds between betting accounts. As an island formerly under British rule, it comes as no surprise that football is the most popular sport in Cyprus. The Cypriot Football Association has been overseeing events since 1934, and the Cypriot First Division is the top standard of domestic competition, with a mix of professional and semi-professional clubs. APOEL F.C have been the most successful in recent years, and made history in 2012 by being the first Cypriot club to reach the quarter finals of the UEFA Champions League – quite an achievement for a club from such a small sporting nation. In Cyprus, basketball is similar to football insofar as that there is a domestic league, which is made up of both professional and semi-professional teams. Despite the relatively low standard of competition in the country, teams such as EKA AEL have done well in the European competitions. Tennis is played recreationally by a large number of Cypriots and the sport has grown further in popularity in recent years due to the success of Marcos Baghdatis. He has reached the latter stages of a number of major tournaments and climbed as high as 8 in the world rankings back in 2006. 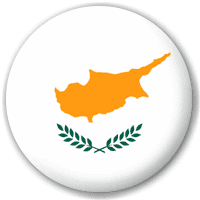 Cyprus is always going to face an uphill battle to produce sporting teams and players who are at the pinnacle of their discipline, simply due to the size of the country (the sunny island is home to just over 1 million people). However, the natives love their sport, love to have a bet on it and do well given their limited resources. The Greek economy has experienced a well-publicised melt down in recent years, and in order to recover, swift action is required. The government in the southern part of Cyprus have recently passed a casino bill which approves one major establishment with four smaller satellite casinos. A new casino should help to drive more tourism in the country as well as stimulating spending from the locals. As for online gambling in Cyprus, it appears that not much will change in the forthcoming years. Bettors can access most of the major bookmakers around the world without any difficulty and should be able to continue to for the foreseeable future.